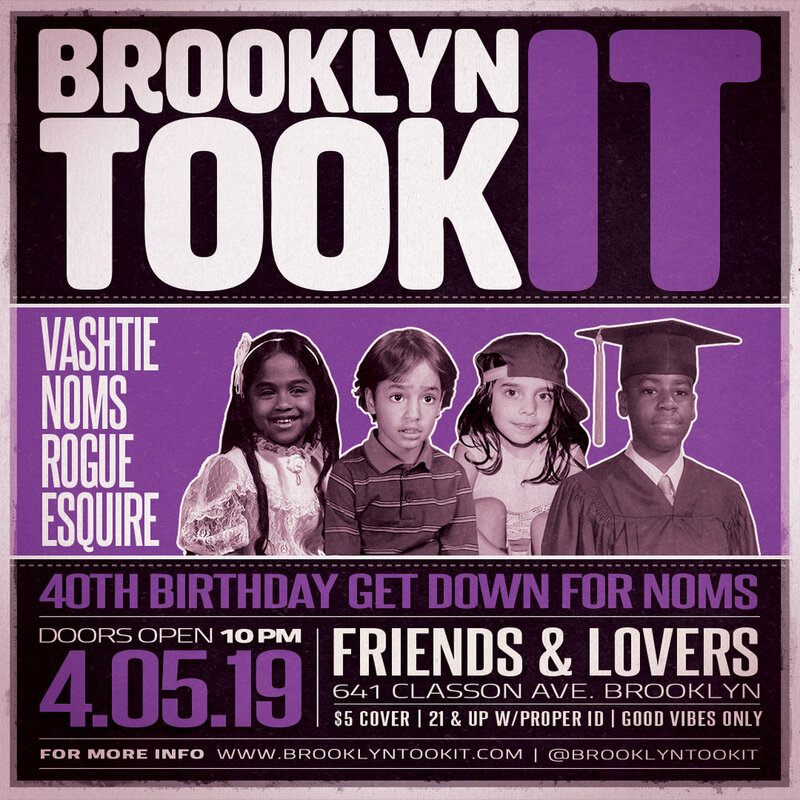 Let’s celebrate me still having my hair line, being healthy, and finally turning 40 on Friday, April 5th at 10pm at none other than Friends and Lovers in Crown Heights, Brooklyn. My actual birthday is Sunday, April 7th. I got the homies Vashtie and Esquire rockin’ with myself and Rogue. We gonna do the damn thing. It’s only a $5 cover for 4 super dope DJs. I may or may not wear a hat…and that doesn’t effect the cost of the cover at all.